“Happy Halloween” is what this porch says as it greets trick-or-treaters. 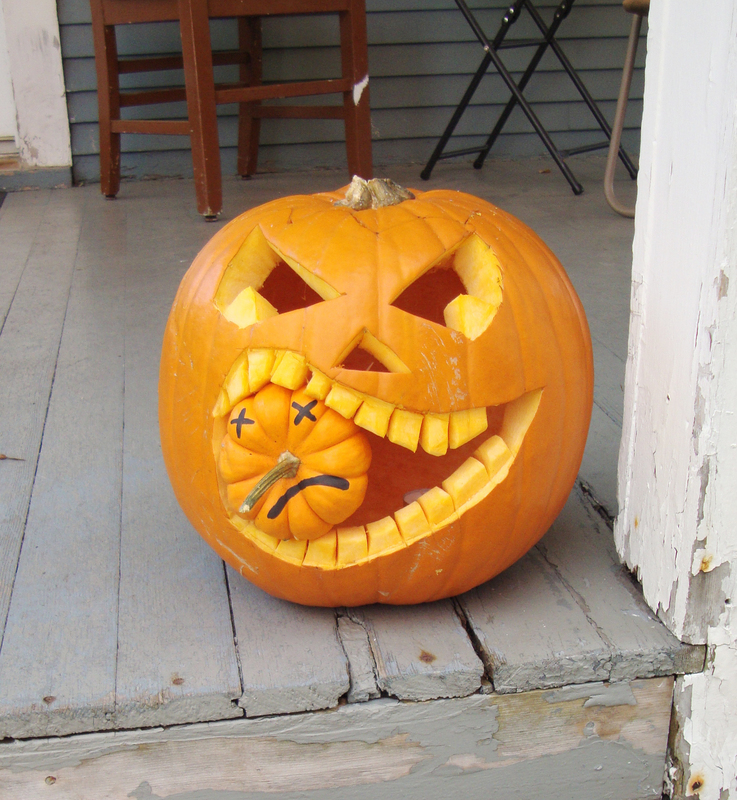 This cannibal pumpkin is perched on the spooky porch, daring trick-or-treaters to pass! 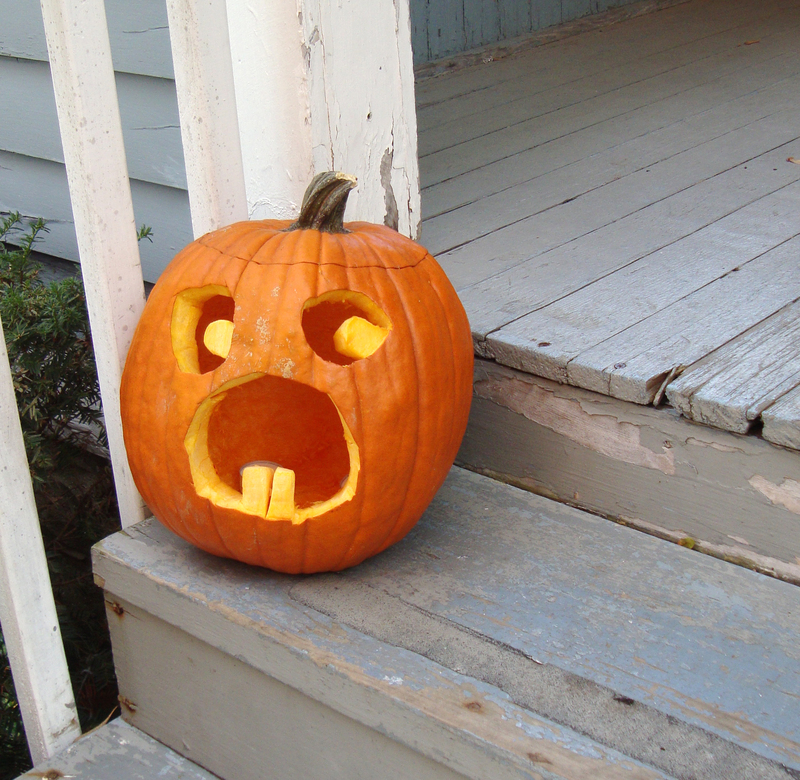 This pumpkin is a horrified bystander, leaning away from the cannibal pumpkin.